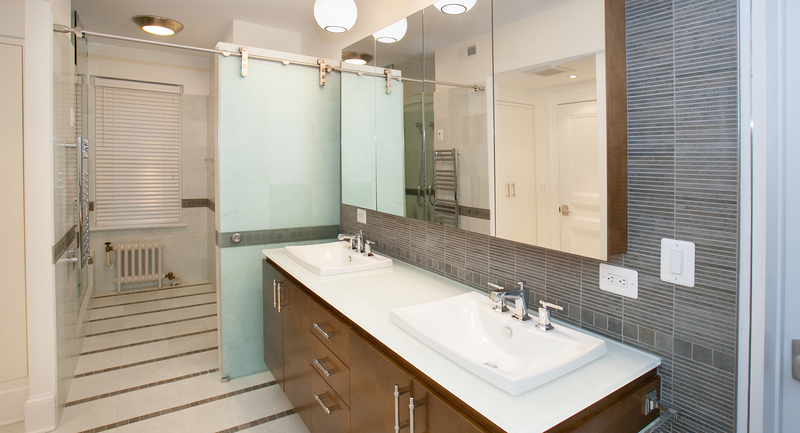 This bathroom’s blend of traditional and contemporary aesthetics reflects the design philosophy of the entire home. 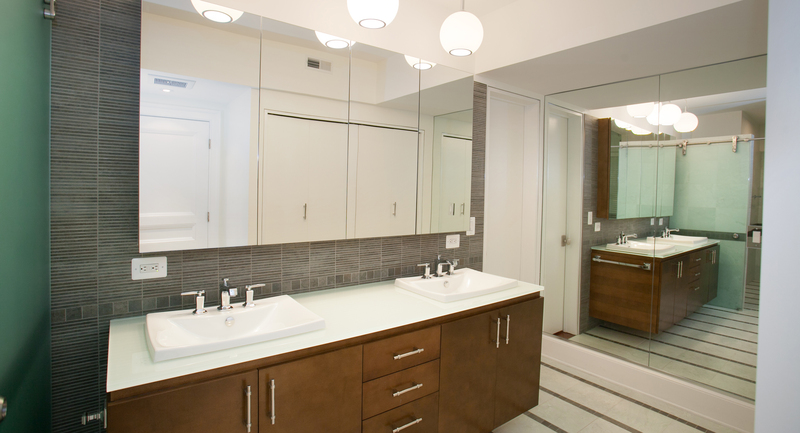 A modern sliding glass partition provides toilet privacy separate from the more traditional double-sink vanity. 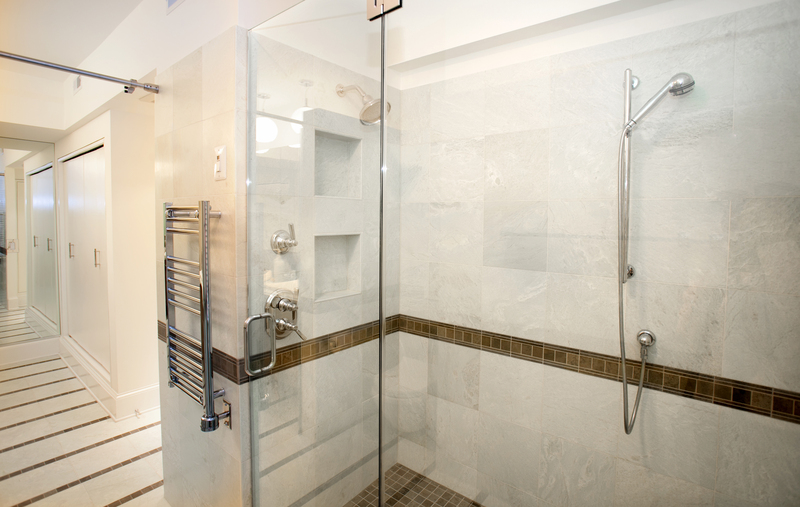 Granite strips behind the vanity add depth and color complementing the marble tile throughout, including the spacious luxury shower.